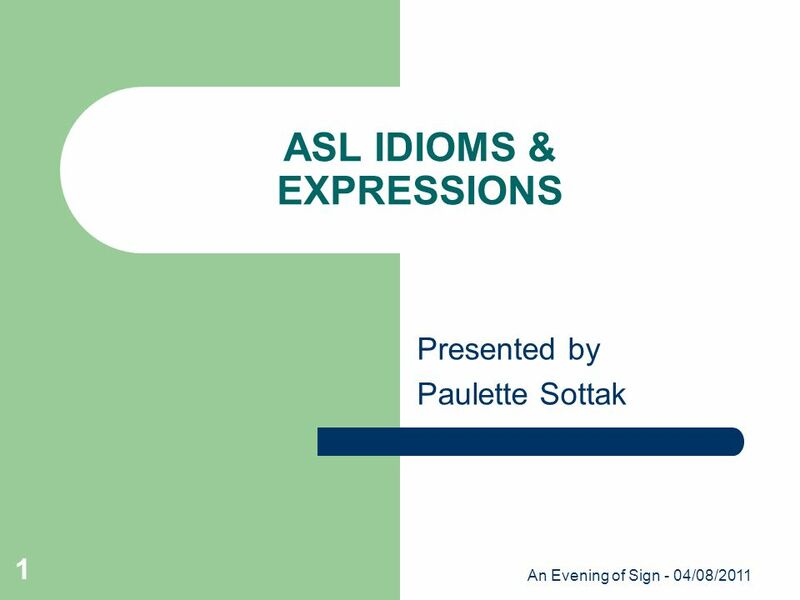 An Evening of Sign - 04/08/2011 1 ASL IDIOMS & EXPRESSIONS Presented by Paulette Sottak. 27 An Evening of Sign - 04/08/2011 27 ASL IDIOMS & EXPRESSIONS Tell me what you have learned so far. 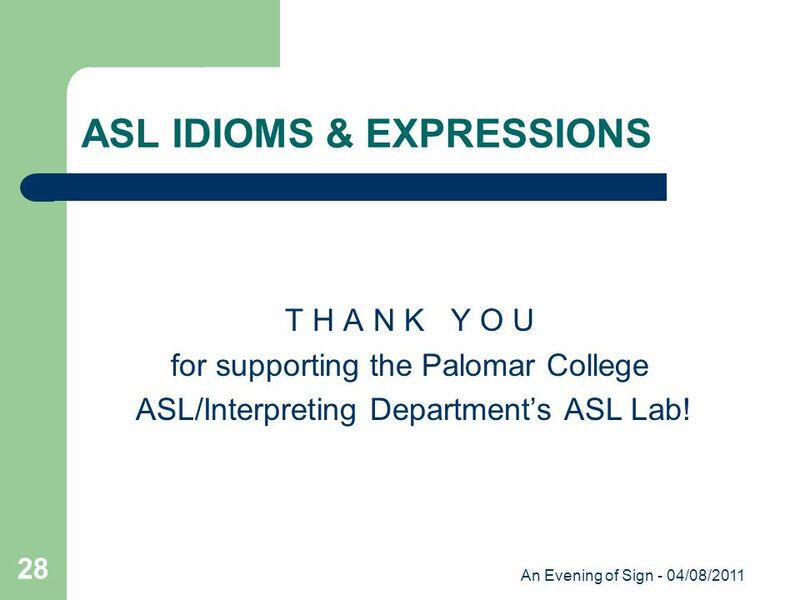 28 An Evening of Sign - 04/08/2011 28 ASL IDIOMS & EXPRESSIONS T H A N K Y O U for supporting the Palomar College ASL/Interpreting Department’s ASL Lab! 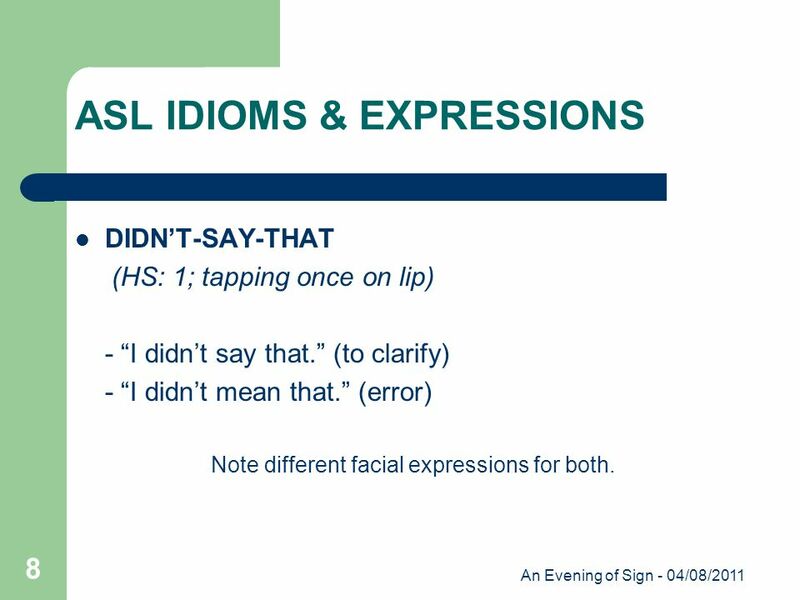 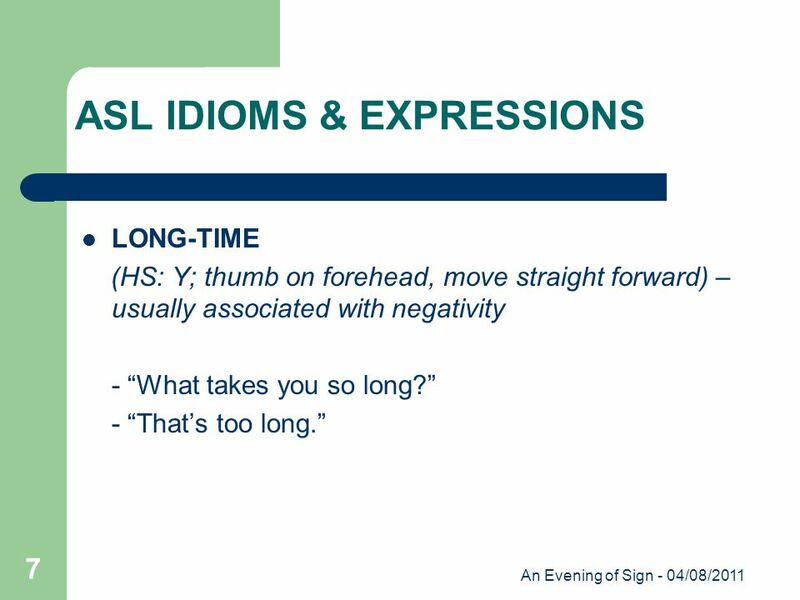 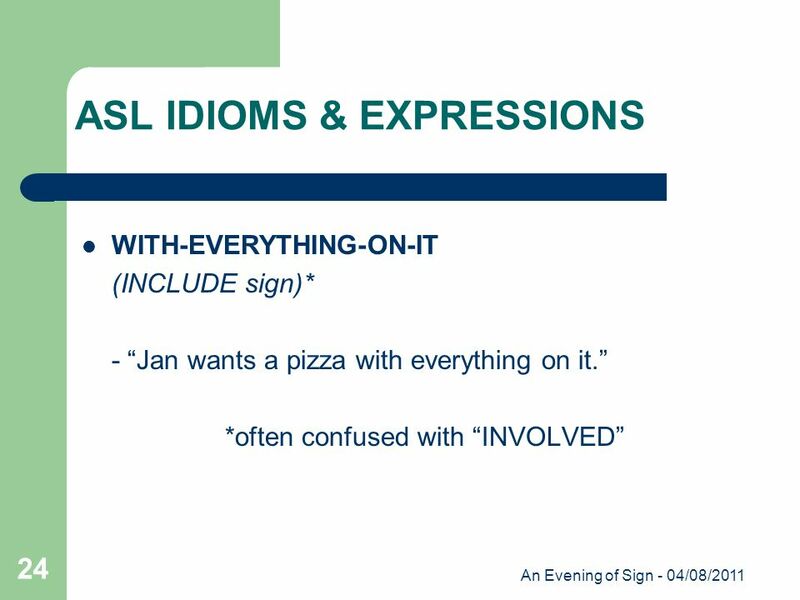 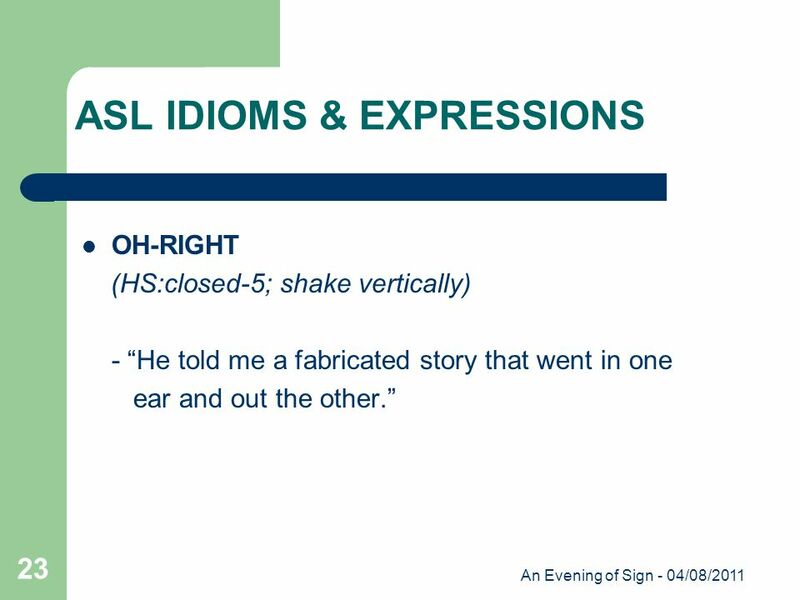 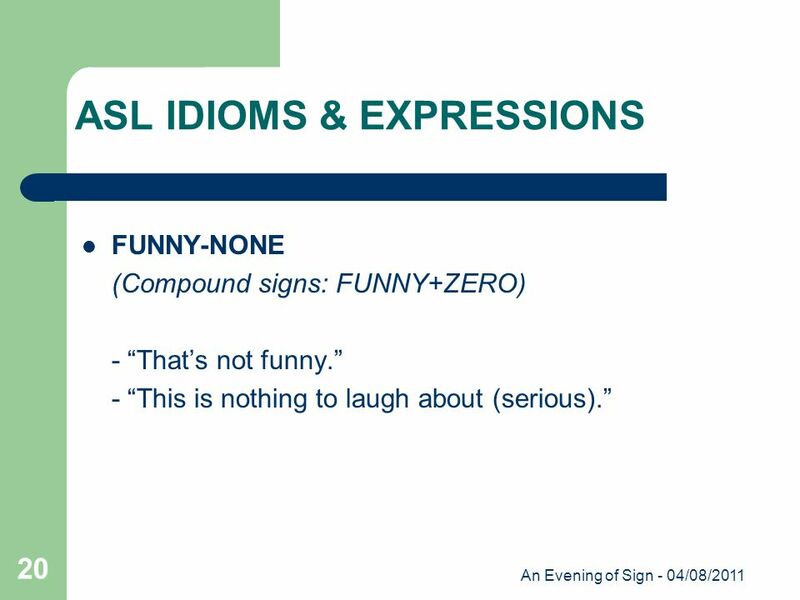 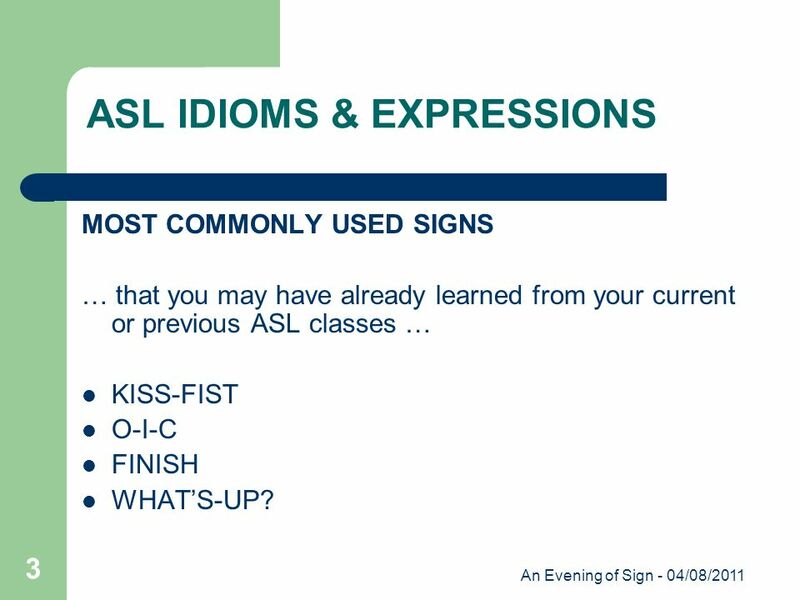 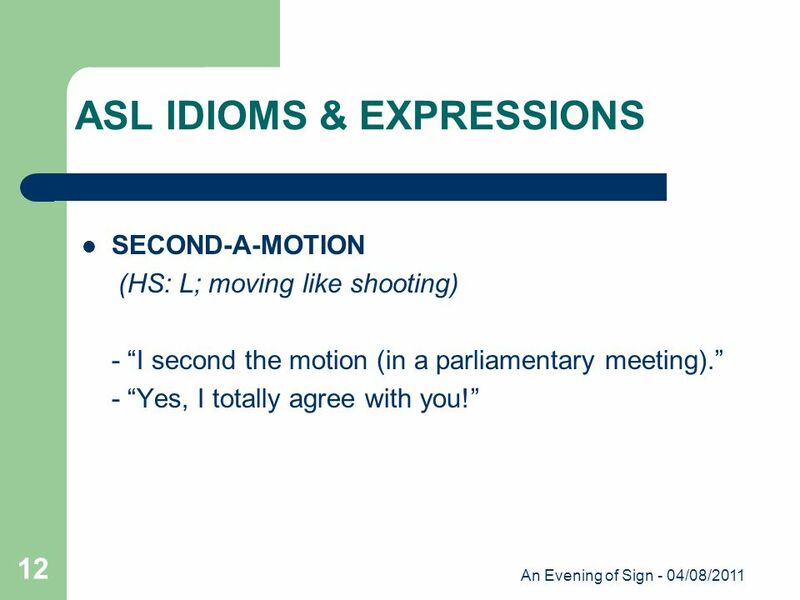 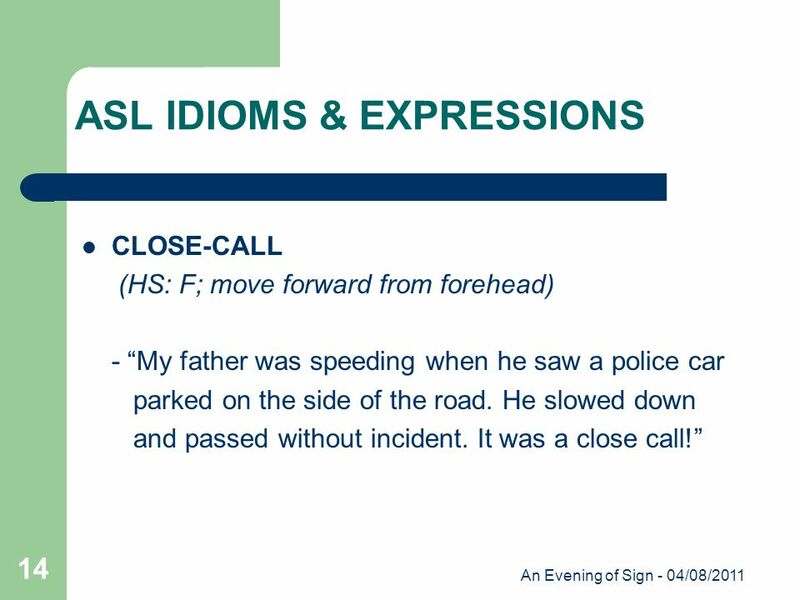 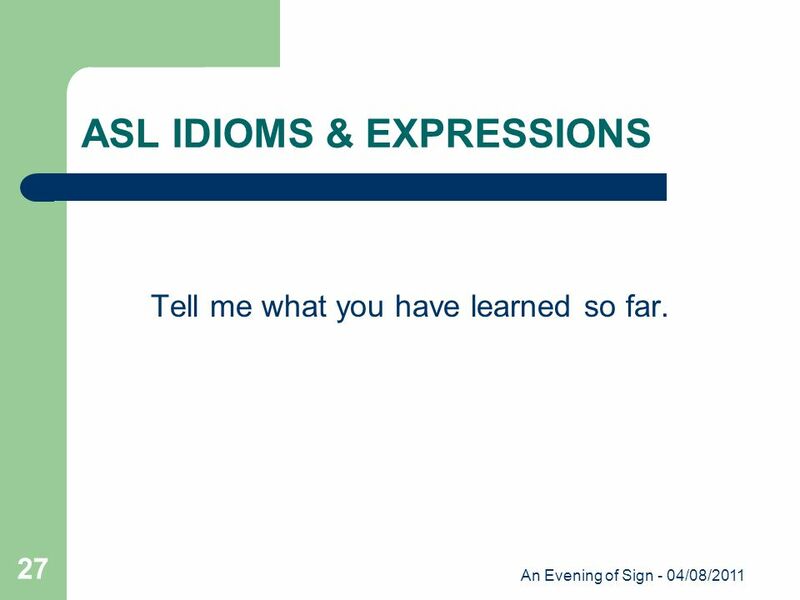 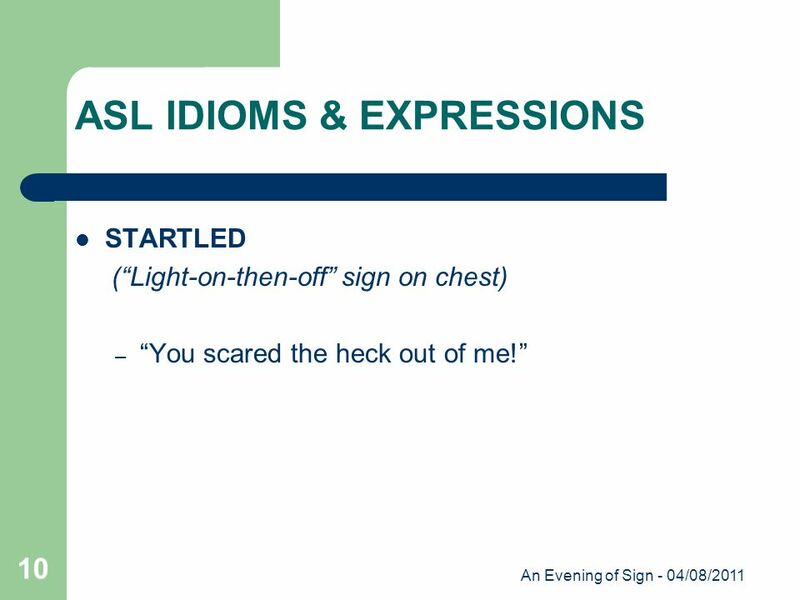 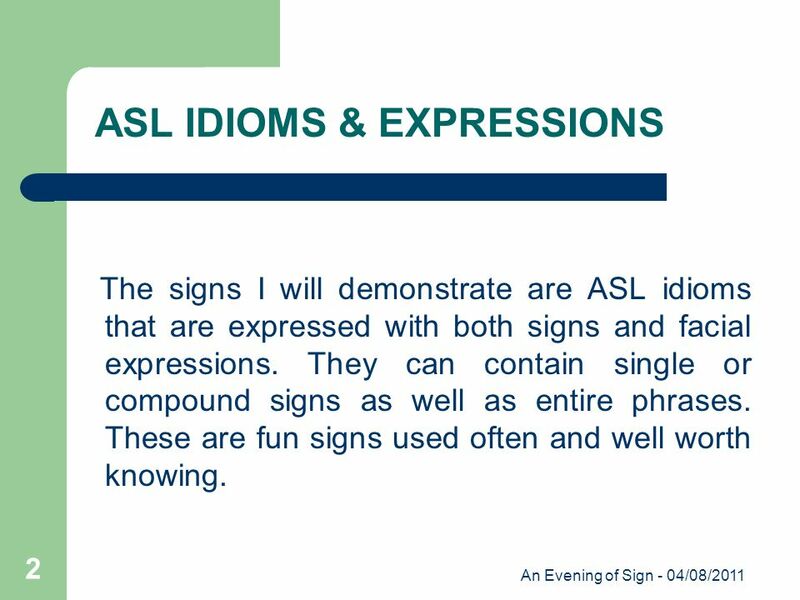 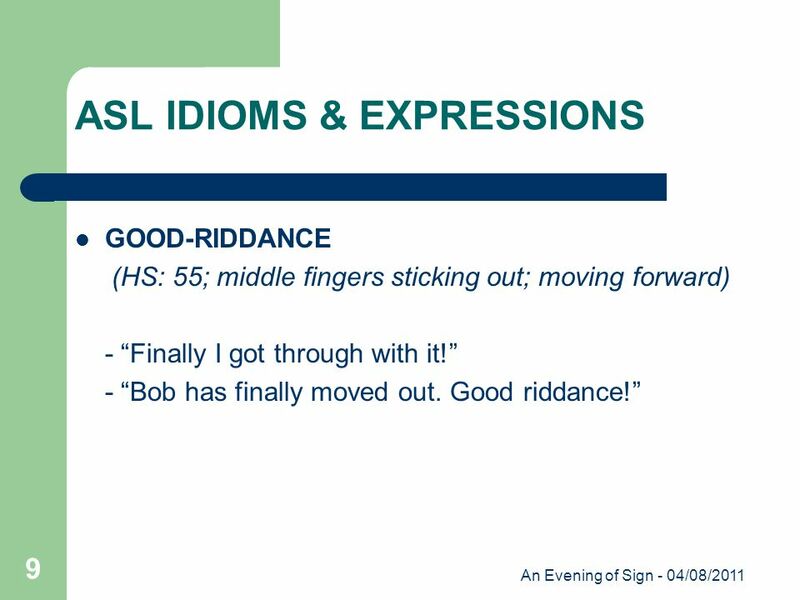 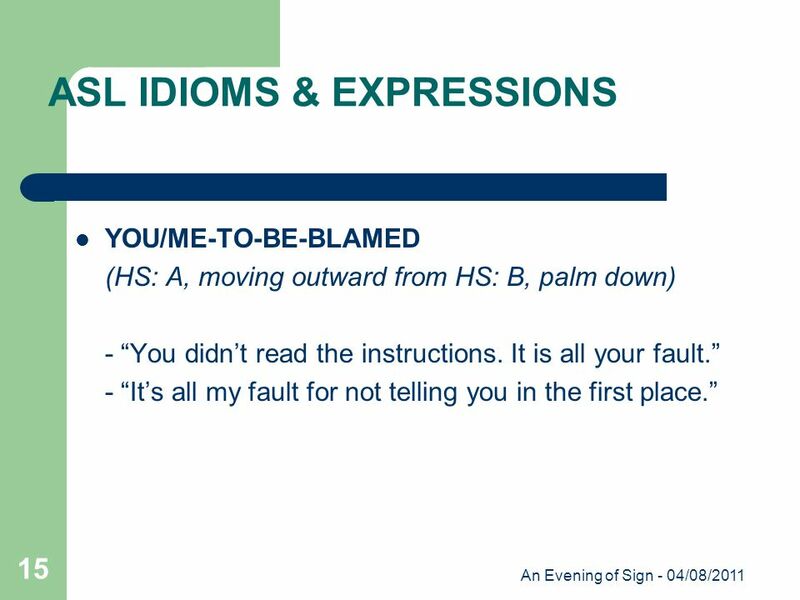 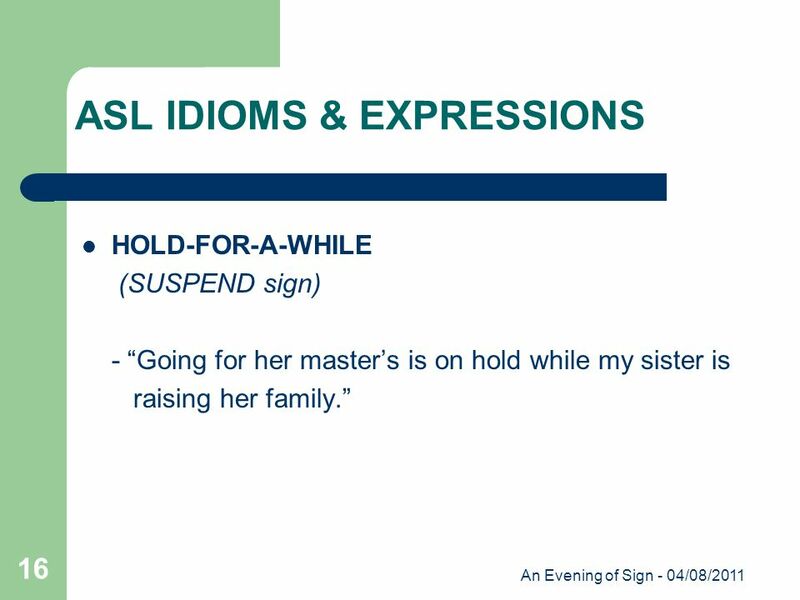 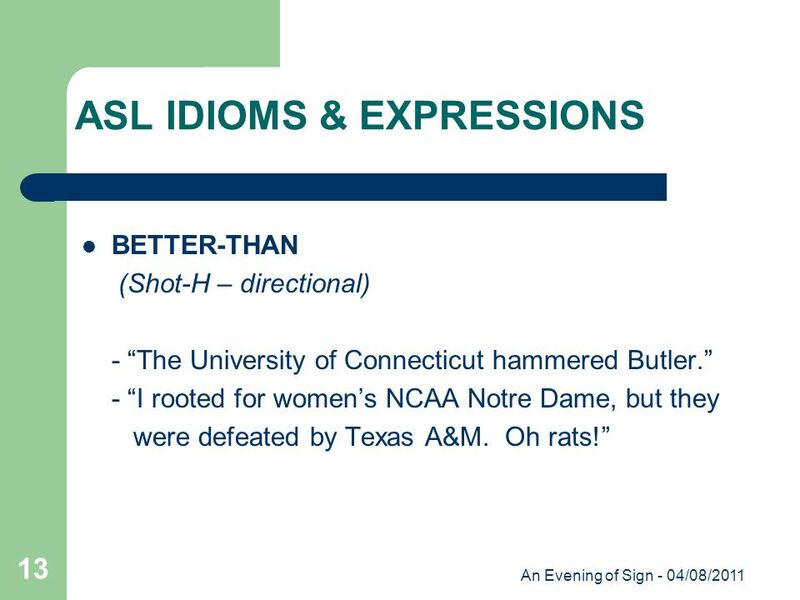 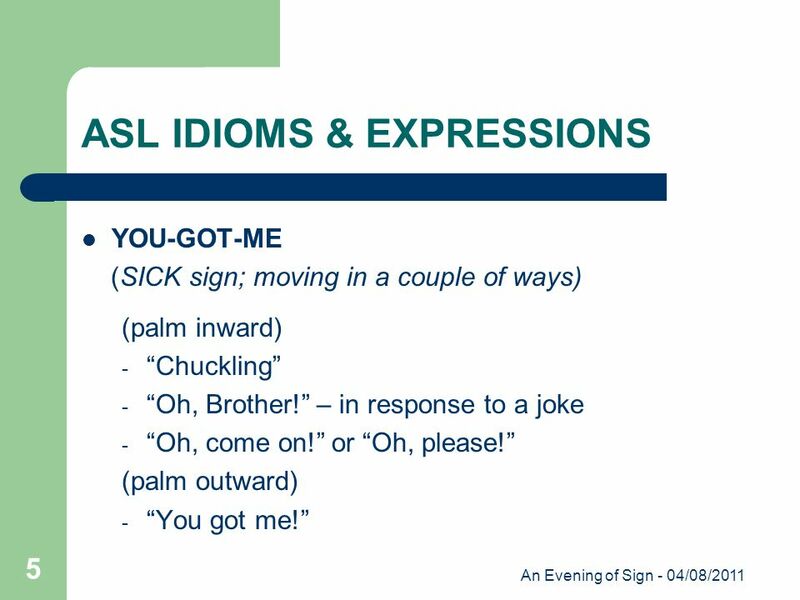 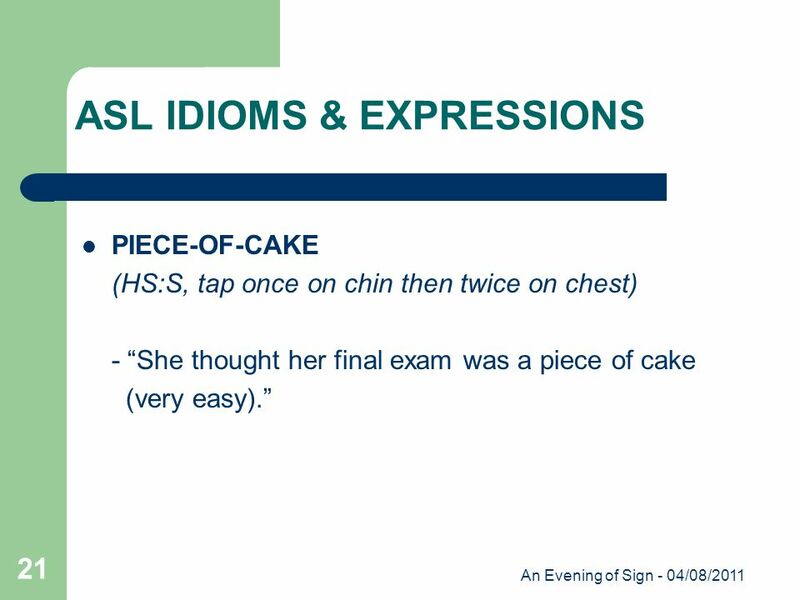 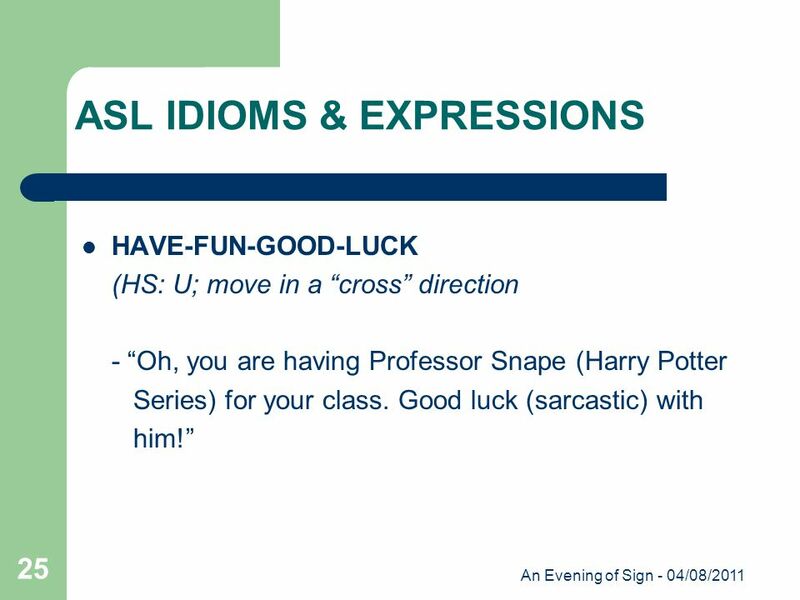 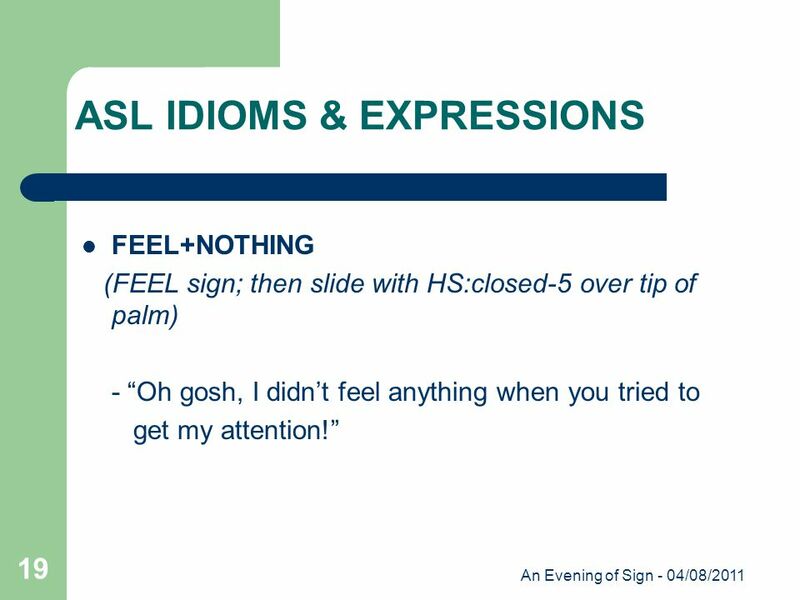 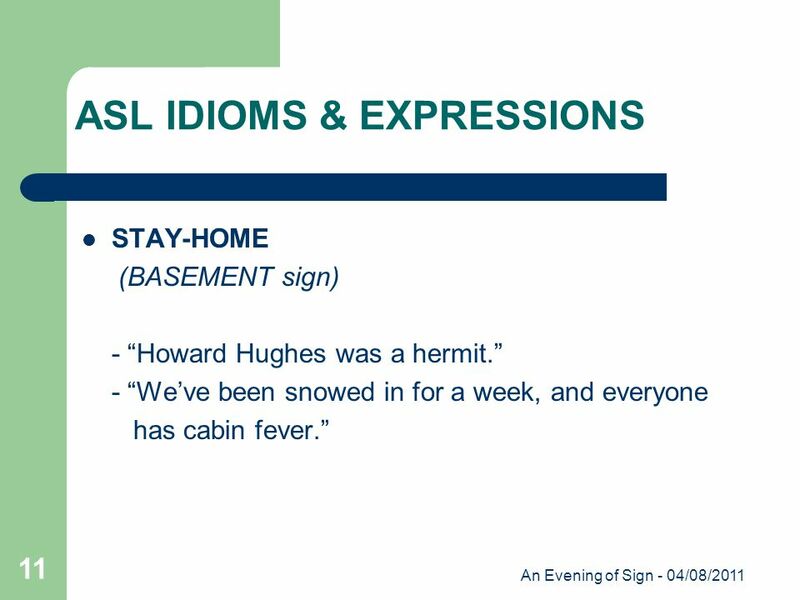 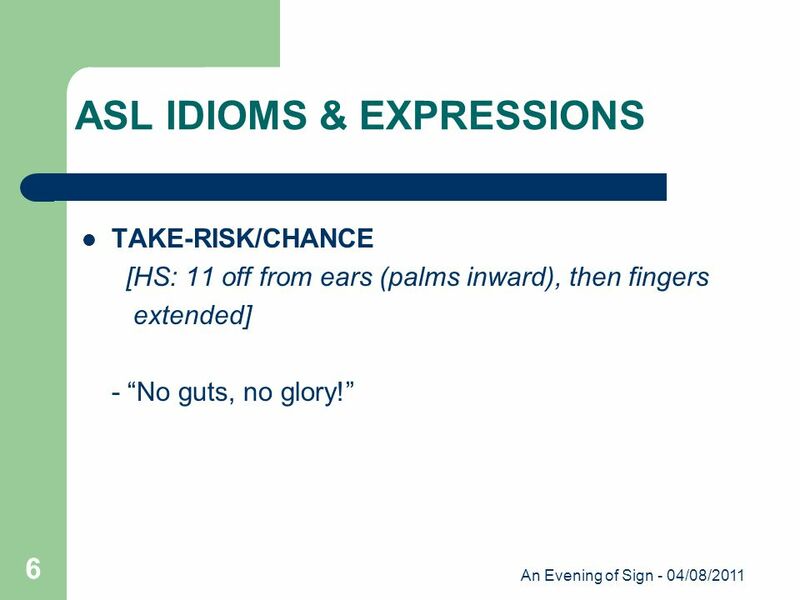 Download ppt "An Evening of Sign - 04/08/2011 1 ASL IDIOMS & EXPRESSIONS Presented by Paulette Sottak." 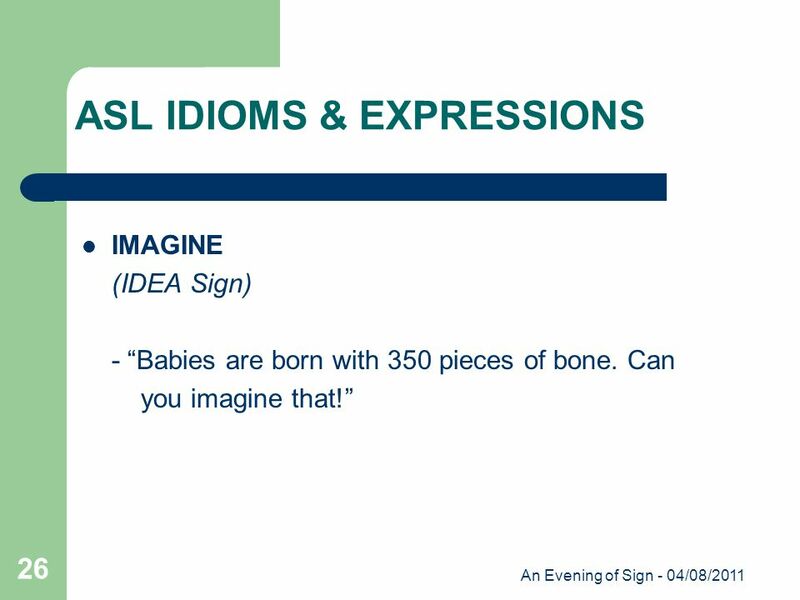 Lets play bingo!!. 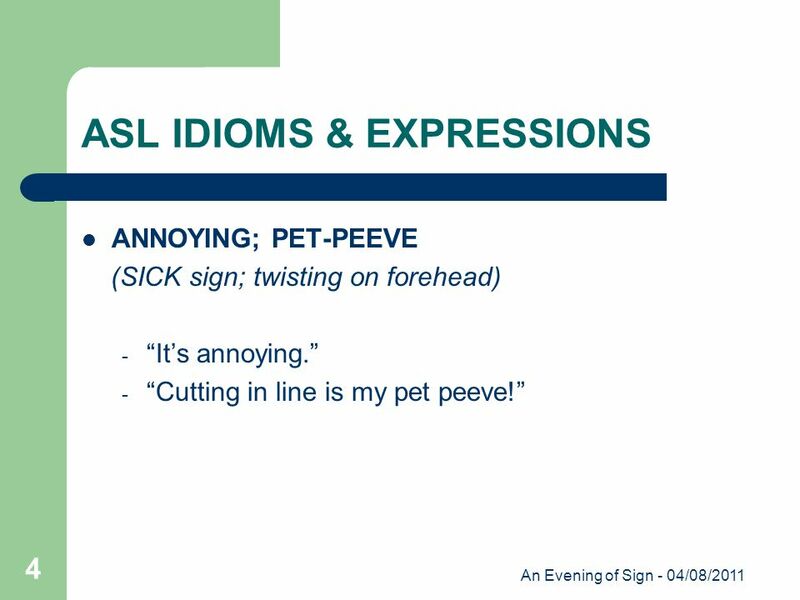 Calculate: MEAN 4 7 5 8 6 Calculate: MEDIAN 9 4 6 1 5.